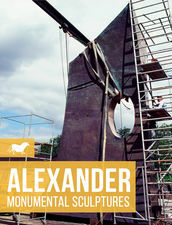 Alexander's work is brilliantly experimental and enormously varied. He uses a very wide range of media, making paintings, collages, sculptures and holograms. 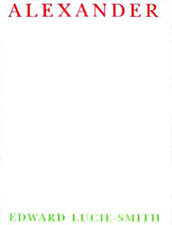 Very often his work is a mixture of these media, or uses them in completely unconventional and experimental ways. His career pattern has been equally varied. He began in England, where he trained at the celebrated St Martin's School of Art in London, and he has since lived and worked in Australia and in Southern California. In recent years he has had major retrospective exhibitions in national museums in places as far as Sao Paulo, Santiago de Chile, and Seoul, South Korea. His work has a number of characteristics which are rare in contemporary art. His technical experimentation is never undertaken for its own sake, but is always pushed forward by the desire to embody an idea or vision, and make it visible and accessible to others. He is a genuinely transcendental artist, yet one who is not afraid of tackling immediately controversial issues, such as man's lack of religious faith and his despoliation of the environment. 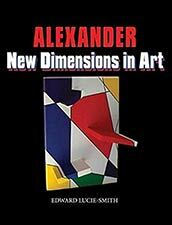 This book illustrates the full range of Alexander's work and shows how successive phases connect with one another. In itself it represents a technical departure, since it includes genuine holograms amongst its illustrations – the first occasion on which this has been done in an illustrated art book.